The U.S. has strained relationships with both Iran and North Korea, so there is a great deal of concern about rocket launches the two countries appear to have planned for the near future. Fox News reports, "[Iran's] space-launch vehicle is believed to be carrying a satellite, marking the second time in more than a year that Tehran has attempted to put an operational satellite into orbit — something the Islamic Republic has never done successfully, according to one of the officials who has not authorized to discuss a confidential assessment." Meanwhile, North Korea will likely test another intercontinental ballistic missile, or ICBM, in the coming days. While it has long been suspected that the two countries share rocket-related technical information due to the similarities in their missiles, Fox News notes, "U.S. officials are skeptical, however, that North Korea and Iran are coordinating their rocket and missile launches." Reuters reports that President Trump issued a firm warning to Iran on Tuesday, saying, "there will be big, big problems" if Tehran fails to fully honor the nuclear agreement it has with the U.S.
Trump also somewhat cryptically suggested that while Iran has appeared invigorated by the agreement, "that won't take place much longer." 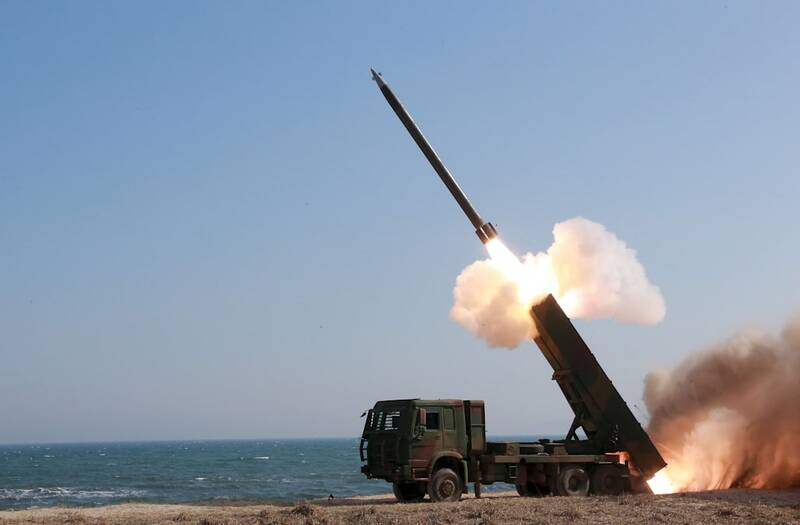 As for North Korea, a recent assessment by the Pentagon's Defense Intelligence Agency indicates that the reclusive Asian nation "will be able to field a reliable, nuclear-capable intercontinental ballistic missile as early as next year..."
At this time, it is trying to overcome the challenge of making a missile that can travel in the upper ranges of the atmosphere without sustaining damage, notes the Washington Post. It is believed the upcoming missile test is related to addressing that issue.